RANLife Home Loans & RANLife Real Estate's new office located in Sandy, Utah. The new office totals over 55,000 square feet and overlooks the Wasatch front. Not only did today mark the 2013 Annual Company Meeting for RANLife, but to a huge surprise it was the first time the new speculated office location was revealed to their home loan and real estate employees. 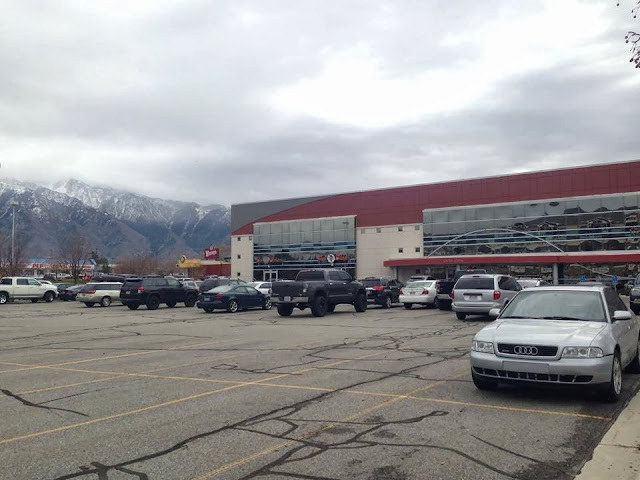 The new location located just off of 9400 S and 700 E is triple the size of their current building in Downtown Salt Lake City, Utah and is scheduled to be finished in May of 2014. With that said, RANLife plans to double, if not triple, the size of their staff over the next coming year. Majority of the employment opportunities will be for sales and real estate staff. With over 55,000 square feet, the new building will feature glass wall conference rooms, a cafeteria, and fully equipped gym. The announcement came with a lot of excitement by both RANLife employees and management. "This will give us the opportunity to really be able to grow and expand as fast as we would like to," stated Brady Johnson, RANLife's recruiting manager. In the mean time, RANLife is continuing to focus on aggressively hiring and training new employees as well as perfecting their daily operations. Additional pictures of the new office location can be found below. It's a work in progress, but we are very excited for everything to be put into place. Look out for the new location in Spring of 2014!